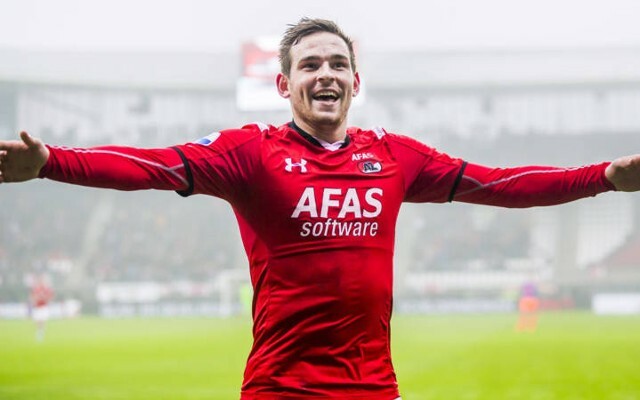 Tottenham Hotspur are reportedly hopeful of signing Vincent Janssen for £12m after identifying the AZ Alkmaar hitman as the best option of their multiple strike targets. The Mirror understands that Spurs have agreed a fee with AZ for Janssen and have spoken to the 21-year-old and his representatives after they flew into London this week. Support for Harry Kane, who has carried Tottenham’s attack for two seasons, seems to be a priority for Mauricio Pochettino this summer as Spurs return to the Champions League. Janssen scored 27 goals in 34 matches for AZ last campaign, and would come fairly cheap because of the financial problems embroiling the Eredivisie club, according to The Mirror. The Mirror adds that Tottenham have been linked with Marseille frontman Michy Batshuayi, Lyon captain Alexandre Lacazette, troubled West Bromwich Albion forward Saido Berahino and Bournemouth striker Callum Wilson, but anticipate that all would cost £25m or more. Janssen is a bargain in comparison, and Pochettino, as well as assistant Jesus Perez and head of recruitment Paul Mitchell, scouted him when Netherlands played the Republic of Ireland last month. Tottenham’s North London rivals Arsenal, Premier League champions Leicester City, Atletico Madrid, Wolfsburg and AC Milan are all keen on the Dutchman, according to The Mirror. That is quite a list of suitors, but The Mirror reports that Janssen favours a move to White Hart Lane, and that Tottenham are optimistic of getting a deal over the line soon.